Facebook Advertising 2019: Small Business vs Zuck - Who Will Win? Have you tried advertising on Facebook without success? Are your conversion rates zero to none and now you aren’t sure if you should go back to the drawing board or quit altogether? Without understanding the truth about Facebook advertising, you will become a Zuckerberg pocket donor instead of increasing profit in your business. If you don’t know what it takes to be a successful advertiser on Facebook, then that changes today. Expecting Facebook ads to deliver customers is a false belief. In this post, I’m going to share with you what Facebook doesn't what small business to know. There are two fronts you must monitor to keep your Facebook ad cost down and within KPI's. If you’ve already jumped into Fb advertising, what’s been your strategy so far? Running one or two Facebook ads isn’t going to necessarily get you sales. Advertising on Facebook is absolutely not a magic solution, no matter what the fake gurus or creators of Facebook ads courses tell you. 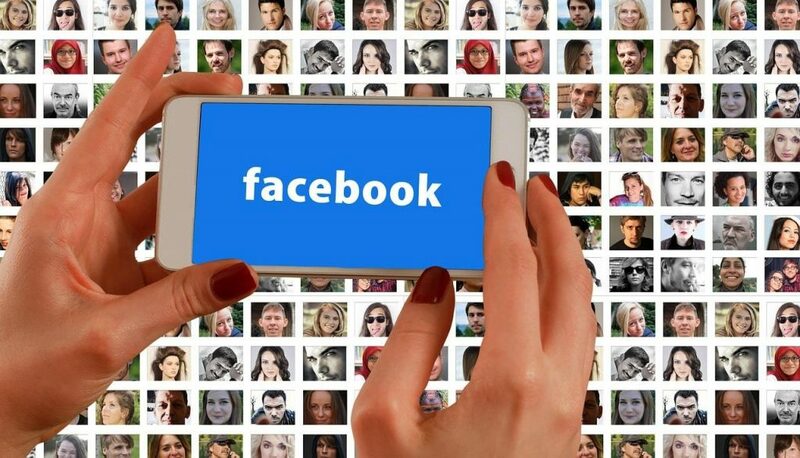 What are The Benefits and Risks of Advertising On Facebook? Facebook paid advertising is a tool to drive traffic to your website. But it’s up to you to test, figure out, learn and know what conversion mechanisms will turn that traffic either into a lead or into a customer. If you don’t get advertising on Facebook right, you are wasting your time, money and energy and you’re going to come out on the other side with a bigger hole in your pocket than when you started. Your successful Facebook ad ideas don’t just come out of thin air. You have to do the market research every single time. Researching ideas before you launch your Facebook ad is make or break. Most fail because they skip this step. It is work but nothing will speed up your Facebook ad success more than digging deep before you launch a paid ad. Here’s are five deep dives to research and, how to research lol... before you determine which advertising strategy is best for your business. When you get to know your audience and what they’re hopes, dreams, problems, needs, and desires are, you skip much of the testing required to make your Facebook ad campaigns successful. Here are a few of the most critical places to research and dive into. As an internet marketer, when you create solutions, you win! But if you can’t get anyone to take you up on your offer, you’re not going to make any sales and you can’t provide those solutions. Facebook advertising rookies make the mistake of going all in, building a product then think, great, now I can run Facebook paid ads and people will buy my product. You don't want to spend months building out a product that you have no data on whether your audience wants to purchase that product or not. The most simple to avoid this mistake is with a minimum viable funnel. Similar to the minimum viable product but modern, it is a digital funnel you create to test ideas cheap and fast. Unless your audience feels your offer is truly going to help them achieve their goals, overcome their biggest fears or challenges, and solve their problems, they're not going to take action. 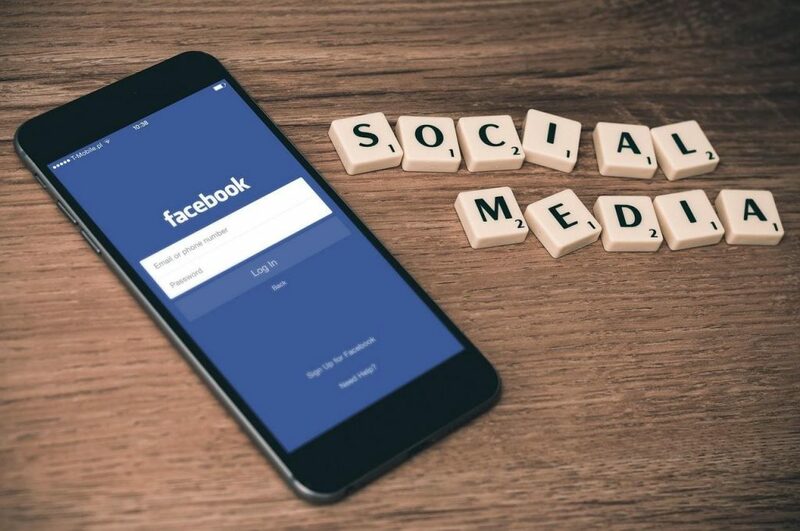 I am going to show you two ways to use Facebook ads successfully, don’t make the rookie mistake of thinking you have to have your course completed, your membership program, your product or service fully developed before you launch your Facebook ad campaign. The pros know that nothing in this internet marketing game is going to bring success overnight. The pros do the research. When you’re running paid traffic to the entrance of your sales funnel, it takes testing to get people to opt-in to your offer and gain a new customer. This is going to require you to focus in and measure all of the statistics, all of the data, knowing your advertising math numbers. You need to know whether the money you’re putting into your paid ads is coming back to you or not. Until the cost of advertising on Facebook drastically increases, Facebook Paid Advertising fits well with most business models, when done correctly. Here are the two ways to run ads that crush it for any business. Want to know what offer will convert for your customers? Use the $5 dollars a day Facebook ad strategy and create a custom sales funnel for your audience. Over the course of a few days or a week, you will have real data from real people that tells you if it’s a hit or a miss. And you’re not out a ton of cash to capture that data from real potential customers! 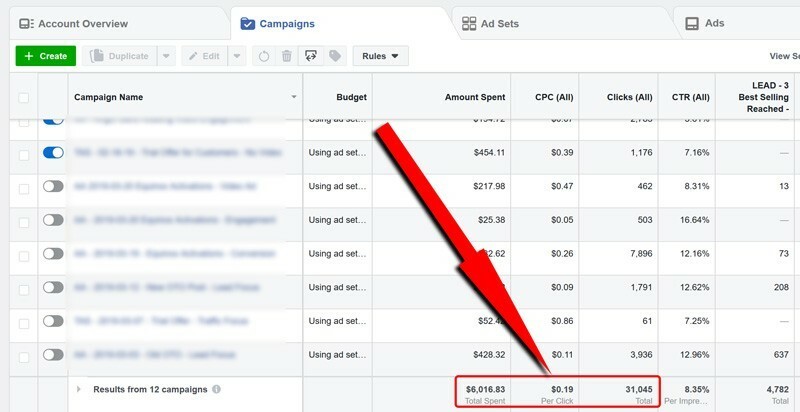 Facebook ads are a very powerful tool, it gets you real data for cheap. With around $35 to $45, and a few days of patience, you’ll know if your landing page converts or not. Awesome! Have an Idea You Want to Test? Let's say you've been doing research and you come up with the new hypothesis that vegan dog food owners are scared of their pets getting cancer. Let’s continue on to say the idea you have is to create a product that’s going to be a solution to this problem. Maybe you can create your own product or create a simple affiliate marketing funnel and make money from somebody else’s product. You can use paid ads to throw some traffic quickly at a landing page to test that idea. Do you get clicks and engagement on the ad? Before you go and create your product, test your idea first so you can determine what to sell and have the data that will show you that if you do move forward with your product it’ll be worth your time and effort. With Facebook advertising, you can test that idea. If your first landing page converted at 15%, and your second opt-in for that free report converts at 40%, that’s data you can see, showing you that your second offer has a higher conversion rate. There is a time and place for Facebook ads, but it is RARELY the beginning. In fact, the only time I think people should really go all in on Facebook ads is AFTER you have an offer that converts. Meaning you need to have a fire going FIRST! If you pour fuel on a pile of sticks, you just have a smelly pile of sticks! For my wife and I, we spent 4 or 5 years of split testing our popup on free traffic from our DIY content marketing strategy, before advertising on Facebook. Years of dialing in an autoresponder campaign that got results and a successful email marketing strategy for our audience. We waited until the business was standing on its own two feet, 10k in recurring revenue, and I had paid off all my debt before attempting to advertise on Facebook. It doesn’t matter if you're doing affiliate marketing, selling information products, or running Facebook ads for any one of the other top 10 online businesses. No conversions, no $$$, period. It doesn’t matter how much-paid traffic you drive to your landing page, if the copy on your landing page, sales page or your offer lacks, you will not get conversions. Read the top copywriting books, and study great optin pages, the best Facebook ads. With the very clear understanding that I'd have a 'Tuition Fee' of tens of thousands of dollars and study time of a year or more, to really learn the system. I began the “learn by doing” Facebook Advertising Course. Remember, I already had an offer that converted like CRAZY and I still expected it to take years and tens of thousands to dial in Facebook advertising as a sustainable traffic source! Just like how a day trader would have to spend tens of thousands over years of study to learn how to make money trading. Or like how a student has to spend tens of thousands and years of their life to get their degree. Your successful Facebook Advertising will happen the same way. Learning how to take an offer that has PROVEN TO CONVERT and tens of thousands of dollars later it clicked, my 6 figure membership funnel emerged. Now I've spent hundreds of thousands on the platform and it has added another profitable source of traffic to my business. But this all took place AFTER I had an offer that was tested and dialed in with organic traffic. So if you are trying to figure out if Facebook ads are for you or not, keep this in mind. Because if you are new and you don't yet have an offer that converts, it will take even longer than it took me. Already have a product that is selling? Have an already existing fire on which to pour some gasoline? Scale it to literally millions by marketing on Facebook. Where to Get Free Tutorials? At this time I no longer recommend and Facebook ads courses. They are overpriced and are not kept up to date enough. Facebook changes all of the time. Here are free step by step video tutorials for you to set up and scale a Facebook ad campaign. If Facebook ads aren’t a fit for your business needs right now, crush the best alternative to Facebook ads instead! Your homepage is where people come to that already know your brand. It needs to look good and validate your brand. You must build pages that are specifically created to send advertising traffic to. Depending on your business, these pages will need to fulfill a specific purpose for your business. Here is how to create the best lead and affiliate product landing pages for 2019. Physical products, information products, and services? There is the webinar funnel and free plus shipping funnel. If you need help knowing what kind of page you need for your business, leave a comment below or hit me up in the YouTube comments. You must split test your paid traffic in order to know what is working and what is not working. Split test your ads, split test your landing pages, split test your offers, split test your design, headlines, copy and more. Split testing is an art and a science. I was not kidding when I said be prepared to invest (not lose, you are buying data) money into your business to learn the magic formula for your products and your audience. Here is a guide to teach you how to set up the different split tests you must run. With testing you can see, does this offer convert for my audience? You have to dial in a landing page that converts before you can scale up your Facebook ads. Whether you are using the direct to landing page method or the slightly more complex two step facebook advertising method, drawing in and holding the attention of your audience is crucial. 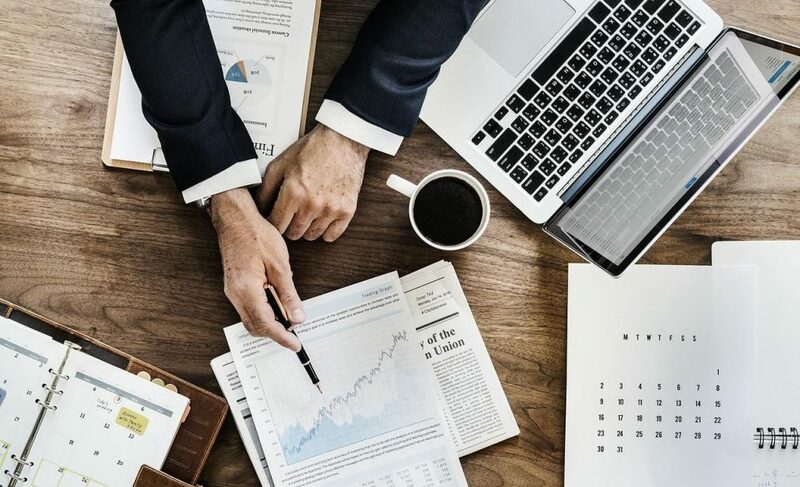 What headlines, copy, design layout, or offers, actually trigger your audience to take action because that is the data you have to have that will lead you down the path of success. Testing also shows you something Facebook makes you work to see. Why Does Facebook Hide The Most Import Metric in Reducing Facebook ad Cost? The number one metric in determining how your auctioning goes against your Facebook ad competition is Relevance Score. Facebook does not show this critical number unless you populate it in your ads manager. A relevance score is a grade Facebook gives your ad and how it is resonating with the audience you are targeting. Facebook wants people to be happy and not upset on Facebook. They show us advertisers, via the relevance score, if we are coming alongside that goal of the platform or if our ad is missing. If we are not making people happy, being relevant, are ad costs suffer from it. Here is a deep dive on how to increase your relevance score and lower ad cost substantially. The big takeaway is not to look at Facebook advertising as the end-all solution. But look at it as a simple tool to increase the number of targeted visitors you can drive to a specific page on your website in a specific amount of time. That’s what Facebook paid ads are perfect for. Running the ad is easy. Creating an offer that is highly desired by a specific audience, that's the most difficult part of scaling a business. It's up to you. You need to own that conversion. 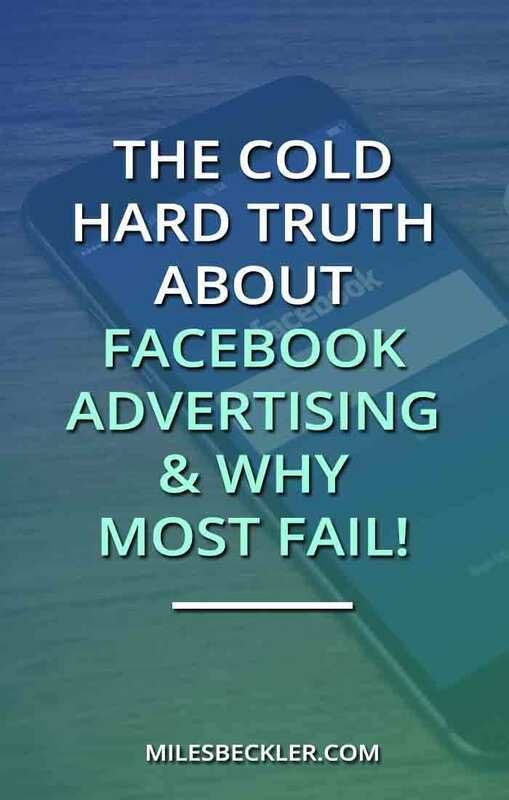 And if your Facebook ads aren't working, that's because you haven't put enough time energy focus research and effort towards the conversion mechanism that you're sending people to. Use Facebook ads to dial in your landing page and conversion mechanisms or begin to scale what is already selling. Buy more traffic, continuing to monitor your numbers as you grow. Follow my free Facebook Advertising steps on YouTube. Stick to the successful online business steps and if you have any questions, disagreements or belief alignments hit me up in the comments below.